Support us for less than £2 a month. Cambridge Sustainable Food's Rachel Gomes welcomes the 'Eel to their city, and shares the details of its exciting food revolution. Cambridge might not spring to mind as a pioneering food scene but scratch beneath the surface and you will see that things have been simmering here for a while, and our now hotting thanks to Cambridge Sustainable Food who have been busy working with businesses to improve their good food offer. This includes signing up a whopping 27 local businesses who are working to improve their food sustainability sustainability through their Sustainable Food Pledge and Award Scheme. Already eight local food businesses have reduce their food waste through the scheme and Cambridge Cookery became the city’s first zero-food waste cafe, using excess produce from their suppliers to cook up delicious meals for the local charity Jimmy’s homeless shelter. The city has also finally got its own vegan restaurants. One of the freshest on the scene is the vivacious Doppleganger restaurant; offering a fully-vegan burger experience. The Old Bicycle Shop gives us another mouth-watering choice with a wide range of vegan and vegetarian options and a menu that updates quarterly to reflect seasonal produce. Among the more well-established restaurants is Nanna Mexico, a Cambridge institution with several spots around town providing us with ethical, sizzling Mexican food. They source all their meat locally and use only recycled and recyclable packaging. The Food4food community cafe is run by Wintercomfort, a charity that supports the homeless, and provides a catering service and cafe that uses donated or local food wherever possible, whilst also providing work experience to vulnerable people. Similar amazing work is being done by the guys at The Edge Cafe, who host a well-established community fridge, where you can drop off your unwanted perishables that would otherwise go to waste and instead provide the rest of the community with access to food. 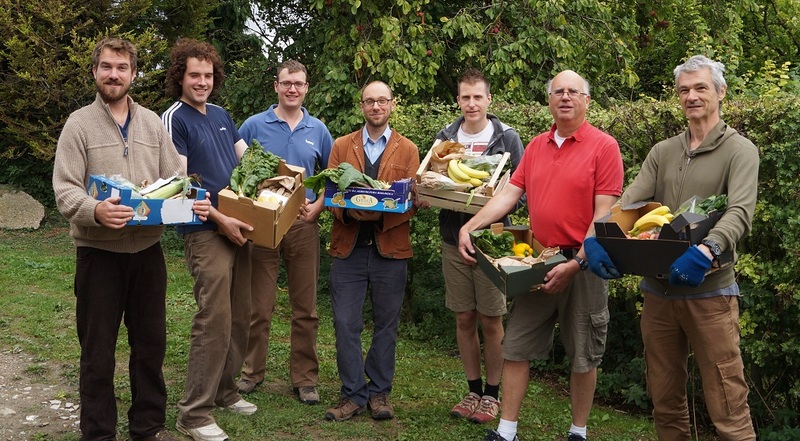 Another long-standing organisation, promoting organic and local produce is the veg box delivery set up and run by COFCO (Cambridge Organic Food Company) who represents nearly every organic grower in the area. Their organic box delivery scheme helps to distribute their seasonal produce right to the doors of the local community, making it easier than ever to source local. Arjuna’s vegetarian wholefoods store is also a favourite among locals. Situated on one of Cambridge’s most international streets, Mill Road, Arjuna provides food sourced from local producers, such as Phil’s Pestos, Waterland Organic Eggs, Snakehall Farm and Maud Foster Mill, to name but a few. And what next? Well one of the most exciting and innovative projects in the pipeline is the up and coming Cambridge Food Hub. The hub, if fundingis found, will offer storage and distribution centre for local produce, provide incubation space for small local food businesses and give the community better access to local, organic food. Check out our other area guide's for Oxford, Bristol, Brighton, Liverpool and more of our friends from the Sustainable Food Cities network. Live by your values. Bank on them too. For many years, you've had the opportunity to make positive choices about the food you buy, the transport you take and the energy you consume. Now it's possible to apply your values when choosing a Current Account.